“They do a snack at 10:30 … it’s healthy stuff. And they learn about sitting down, eating with other kids, waiting, table manners and things like that,” Drop-In parent participant. 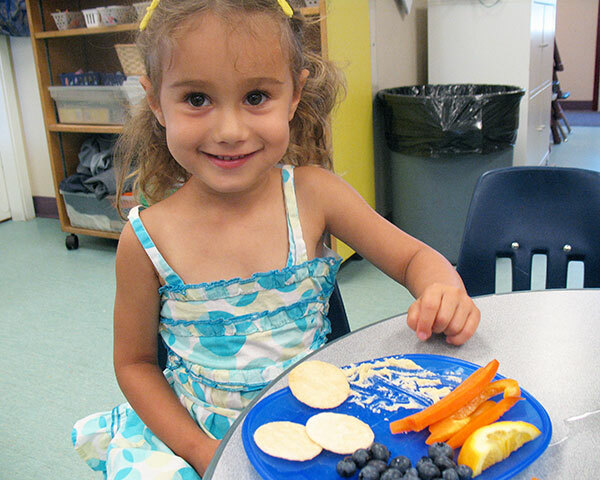 The daily Drop-In snack program provides an opportunity for children to join together in a structured activity, developing early socialization skills through a shared meal experience. Participants are asked to please bring a food item to share at snack time, if possible, or to consider making a monetary donation in support of ESFP food-security programs. A core value and practice of the Drop-In program is supporting nutritious eating, with the long-term goal of encouraging life-long healthy eating habits. The daily snack program is also an important food-security resource for young children and vulnerable families. Food insecurity is an issue for many families and ESFP provides a variety of food-security programs to address this fundamental need and to support healthy development: ESFP upholds that healthy development is dependent on access to a nutritious diet. To learn more about all of ESFP’s food programs, including ESFP’s Community Food Cupboard that provides free food staples, please visit ESFP’s Food Programs.